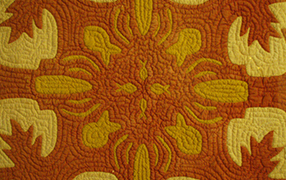 The best place to find Hawaiian fabric and inspiration for a Hawaiian quilt is in Hawaii. For sewing enthusiasts or a special souvenir for someone, check out these great sewing shops. Each place offers a little something different. Walmart in Lihue also offers a selection of Hawaiian fabrics in the craft department too, but make sure to explore the specialty shops. The specialty shops tend to have a different fabric grade and more options.